Fairly often new people discovering VMware asking these questions: ESXi free vs paid? What’s the difference? While for many folks, VMware certified people, and others, this question (and especially the answer) is obvious, the new people who just discovered virtualization, might want to know exactly. That’s why this post. At first, you might want to read my post called ESXi Free – What’s the Limitations? The ESXi Free version is the same download as the full-blown ESXi but stays unlocked only for 60 days. It is the exact same ISO image. If you don’t enter the serial number for the free version, the product works as full version during 60 days. When the trial period ends and the product locks out the advanced features and becomes ESXi free (you’ll still have to apply a serial number, which is available with the free version when you download it. If you don’t know how to do it just follow our tutorial on this! How do I Download and Install the free version of ESXi? Step 1: You can download the free version from VMware, directly from the product page here. It’s an ISO image, which you can burn to a CD, and then boot the physical server by using the CD. Step 2: Configure a static IP address directly from the console, set a new password, and connect from another machine via the IP address, by using a web browser. On the web page, you’ll find a download link for VMware vSphere Client, which is a software to access the Vmware ESXi hypervisor. Step 3: After installing the VMware vSphere client on a management station, you can access the hypervisor via the vSphere Client, start creating your VMs from scratch or do a P2V conversion by using VMware Converter Standalone – free tool. 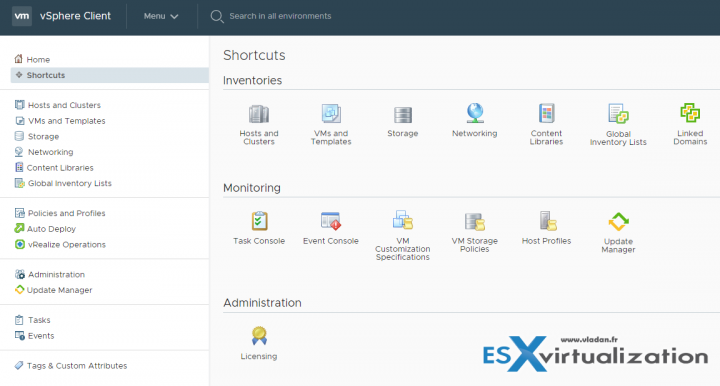 ESXi Free – for Which usage? For very small shops which want to try out virtualization is the best way to start. The free version of ESXi with some local disks in the server can be a good start to explore the VM operations, how to manipulate the VMs from the vSphere client, test the snapshot technology, etc. But think twice before start running some production workloads. The VMs running on the ESXi Free version won’t be able to back up with software like Veeam or others unless using in-guest software applications to back up the data and application configuration. It’s because the ESXi has just a limited set of APIs which are not able to work with third-party backup software. Good enough for small shops without funds to invest to a more reliable, more robust solution? But when the production environment becomes critical. Or critical enough that the boss says, ok, now we cannot afford to have 2hours of downtime. That’s when you can step in and say, ok, we need to buy a licensed (paid) version of ESXi. What’s the lowest (cheapest) package of VMware ESXi? The cheapest package is VMware vSphere Essentials and it offers unlocked APIs, so the external backup applications can leverage the hypervisor’s snapshot technology to create backups of VMs running on ESXi host. With vSphere Essentials is possible to manage up to 3 ESXi hosts by using vCenter Server Foundation. The usage of ESXi Free is obvious. Learning, testing workflows, small DR tests, validating architectural decisions. By using snapshots, you can also validate windows patches. For example, you might want to create an isolated clone of your production server by using VMware Converter and P2V technology, and you want to test a big Microsoft service pack before rolling it directly into the production environment, and possibly causing a downtime. The next step would obviously be one of the entry-level VMware packages like vSphere Essentials or Essentials Plus, where the Essentials Plus offers not only vCenter Foundation but also many other products within the bundle, including backup solution vSphere Data Protection (VDP). What is VMware vSAN Caching Tier? Yes after 60 days full it will become free version where you have unlimited RAM, but the APIs will become locked so for example backup products won’t be able to create incremental backups. I hope you can clarify something for me. I currently have 3 physical machines running esxi 5.5 free edition. I am trying to get my company to upgrade to a paid edition. Our needs are very minimal and my desire to upgrade is primarily to be able to hook into the API’s for backups, probably with the free version of Veeam. 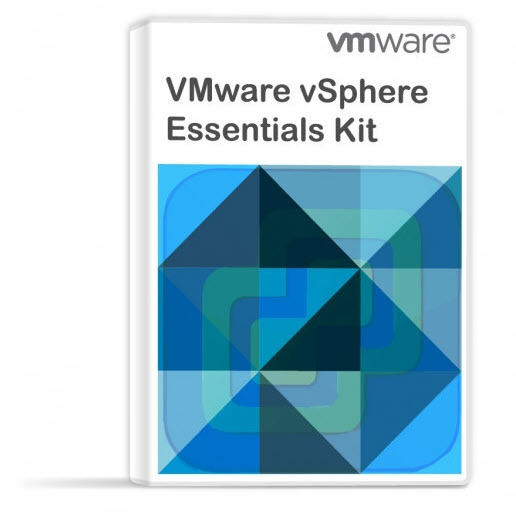 Is VMware vSphere Essentials the correct product? If so, is it an in place upgrade? Yes, the vSphere Essentials will do. Thank you very much. Is it an in place upgrade to go from the free version to the paid version? Clone feature is available for free ESXi? I understood it is possible, but not from the vSphere client. It is true? No. Without vCenter there is no clone. But even the lowest cost license gets you that – vSphere Essentials (3 hosts, 1 vCenter Server). I try to prepare my VM Backup server with iSCSI datastore. Datastore size is 32TB and is connected into ESXi 6.0 trial. I can create only 2TB max. size of VMDK on this datastore. Is possible, that it is limited of trial version of ESXi 6.0? No, trial versions are not limited in any way. After 60 days trial the product “locks-in” and only some features are present in the free edition. Consider purchasing the least cost effective version – vSphere Essentials allowing you to manage up to 3 ESXi hosts via vCenter (bundled). Does free ESXi support RDM (Raw Device Mappings) over SAN ? How can I tell if I am demo’ing the ESXi 6 Enterprise version? . I have installed ESXi 6 and I have it up and running. I see a message that says my evaluation will expire in 57 days. Can I use the Enterprise features for the next 57 days without installing any license at all…or must I install a demo license to see the Enterprise features? I don’t have enough experience ESXi to know if the features that I am seeing are included in the free version or the Enterprise version. What’s an Enterprise feature that I can try to verify if it’s working? All enterprise features will work during next 57 days. Then, if you want to purchase the product the starter license is vSphere Essentials edition. This edition gives you an option to manage up to 3 physical servers with ESXi installed each. Plus each server can have up to 2 physical CPU and unlimited RAM. i have esxi 5.1 for free and want to update to 6.0, but i cannot find what it will be block after evaluation period. I dont want to loose resources i have in there today and cannot purchase. is there info anywhere that shows me what i wont do after evaluation period expires? We have installed ESXi 6.0. We have a 48 core box (4 procs, 12 cores per proc). We had one VM with 24 cores allocated under trial. Put free license on a month ago after trial expired. Today, the 24 core VM gets shut and wont restart unless we drop it to 8 cores. Are cores per VM supposed to be limited to 8 with a ESXi free license?? True. 8 cores only for VMs on Free ESXi. That’s a fact…. Considering the 4pCPU box you can’t even allocate vSphere Essentials or vSphere Essentials Plus license because those are limited to 2 pCPU per server. The only option, if you want still maintain your 24 core VM is to license this box, is to go with vSphere standard, but this will be costly as you’d have to buy 4 licenses of vSphere standard (it’s per-pCPU licensing, 1483.56 USD per CPU). i just got a windows laptop and I want to install VMware vsphere and client on the same drive I have the windows 7 OS. how is this possible? Please I need some hint on how to achieve this. You can install VMware Workstation, or Player. Then you can create a ESXi Virtual Machine…. I have a Free E-book which details the steps. On the front page of the blog > down right there is a form you can subscribe to our email list in order to receive the download. I am about to buy a Mac Pro, 64GB ram, 1 TB SSD for home use. What is the better solution; Fusion or ESXi Free? I current have VM Fusion 6.0.6 and usually have 15-20 VM’s but with my current system I can only run 3-4 at a time. What would you suggest for a home/soho novice power user? Fusion probably. It is quite a mission to run OS/X under ESXi and updates to OSX could very well render the box unstable. ist the vSwitch function available in the cheapest Essentials Kit or just in the Essentials Plus Kit? Ques 2: Can I move a VM from 1 server to another while its running (is that called vMotion?)? If not whats the best way to do it on the cheap? Ques 3: Can I setup incremental backups and be able to recover back say 1 hour ago? 1, Not really. Essentials does not provide that option. 2, Not possible within Essentials. You’ll need Essentials Plus. 3, Yes of course. You just need to configure your backup software with this option (Backup job every 1h). Then, if your solution uses VMware VDDK and Changed Block Tracking (CBT) then only changed blocks are backed up after the first Full backup. In regards to CPU, the free version only limits physical socket count and the number of cores which may be assigned to any given VM, correct? So if I’ve got a box with 2 CPUs x 6 cores each = 12 cores, I can still run the free version? Is the version above the right one to start? Basically I would like to install on an assembled PC with Intel i7 CPU and 64 GB of RAM and setup VMs for my lab. Well, you may or may not have problems with drivers on unsupported systems. Drivers for NICs or Storage adapters. So it’s kind of difficult to predict if it will works or not. Better get some Add-on NICs on eBay which works. With regards to thrid party “external backup solution”, (API access [veeam|altaro|freenas vm snapshot backup). is there a limitations with “the number of esxi host” these solutions can access to the vsphere?. with ESSENTIALS and ESSENTIALS PLUS. 2. external API access to “limited # of esxi host in vsphere ” only. VCenter is completely out of the equation here. $560 Essential Kit is a real deal to try, that’s why I am asking these questions. That’s a good question. Once ESXi host is licensed with paid license, those APIs are unlocked. There is not another limit, as far as I know. You’ll have the “features” limit which is tightened to the licensing level. Example of vSphere distributed switch to a certain level of license, etc. This cost 10x what Essentials does. I don't know why they call it Essentials Plus because it provides 10x the capabilities, and functionally provides way more than essentials. No place in this article nor its links does it spell out the differences between 6.5 free and paid. *6.5 comes with a nice HTML5 interface that mimics the Windows client. No dangerous Java required. There are no instabilities or performance limitations under load with the free version. There are many production servers using the free version. You most certainly can backup the free version while it is running live using snapshots and free scripts such as GhettoVCB. People have been using that in production environments at least since version 3.x of ESXi. It works no different than a full backup, so it is not space efficient, nor fast, but it totally reliable and automatic and works just fine if the VMs are not large. The VM can be backed up to the local VMFS file system or a remote NFS share that can even even be a VM on another ESXi server. If the native host chokes for any reason, the backup can be simply fired up on the other ESXi host. You can schedule the execute everything from a guest Windows VM. It simply unlocks the API for up to 3 hosts. The unlocked API opens up not only VMware specific backup solutions, but also industry-respected backup solutions such as StorageCraft’s ShadowProtect. At $560 for 3 hosts, Essentials provides a worthwhile reason for people using the free version to bite. Costs 10x what Essentials, and by the name you would think it would be Essentials plus a little, but it is entirely different, and provides way more than essentials. Thanks for your long comment Jack and the precision on the limits for physical CPU or vCPUs for VMs. Backing up VMs running on “free” ESXi with the ghetto script can be painful as far as I know, only full backups are possible. If you’re looking for more advanced backup capabilities such as incremental backups, you’ll want to take a look at some of the commercial backup/recovery solutions out there including VMware. I use free ESXi only for dev/test environments. Can I use ESXi Free with iSCSI and FC storage? Is free license of ESXi ok for commercial use (I know about technical limitations)? Or only for private/educational use? I have seen some forum posts saying it’s ok to run ESXi free in for-profit organizations, but I have never come across official VMware statement on that. Have you? If you’re fine with the fact that you won’t get a VMware support in case you have a problem …. I don’t think that they’ll ever bother you about that. I have a server with the following specification. – Will the free vSphere 6.5 able to support this without expiry? 1) Is the free version of ESXi that you mention in this article the same as the “vSphere Hypervisor” (https://www.vmware.com/br/products/vsphere-hypervisor.html)? The names are different so I wanted to be sure. 2) Does the free version supports PCI passthrough? I would like to passthrough my GPU to the guest machine. 2) Yes, but it depends on your hardware. But generally, PCI passthrough is supported. Make sure you select vmxnet3 as network adapter type. As for passthrough, it depends on the hardware you’re installing. If it’s a “whitebox” host, then not always you can passthrough config, so, for example the Graphics card cannot sometimes be enabled for passthrough. Hmm you list some of the free limitations but nothing for the paid. Did you get distracted? Should we assume free as in ‘you can buy her a drink but her boyfriend is the bartender” and paid “if you have an apartment she’ll move in” ? Thanks for your comment. I thought that exposing the limits everyone understands. Sure, I could do a side by side comparison, but those limits disappear after integrating the host into the vSphere cluster with other licensing than “free”. You might then want to check which feature you really need in the paid release such as fault tolerance (FT), Host profiles, distributed switches). How many virtual machines can I create in the ESXi 6.0U3 (free)? I chose this version since it is the only one compatible with my HP Proliant ML350 G8 server. I have enough RAM and HHD, but I need to create 5VM, is that possible? Another limitation I found, you can’t administrate ESXi free via PowerCLI. Essentail , essentail plus , standard ….